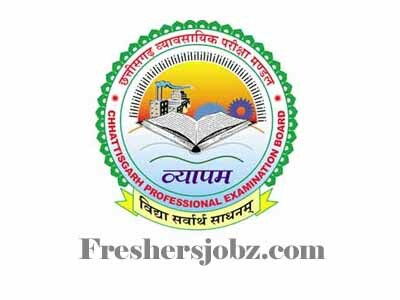 CG Vyapam Notification 2018.Chhattisgarh Professional Examination Board (CGPEB) has released a notification for the recruitment of Assistant Grade III vacancies.Check the eligiblity and notification prior to apply for the positions. Graduation degree holders from a recognized university and having typing speed of 5000 keys in one hour can apply. 18 years is the minimum age and 35 years is the maximum age to apply. Through written examination aspirants will be recruited. Mode of applying for CG Vyapam recruitment is through online mode. 23rd October 2018 is the last date to submit applications. https://cgvyapam.cgstate.gov.in/slcm-web/vyapam/login is the link to apply login for applicants.